B-VAC Flash Art Mob, originally uploaded by hellocatfood. 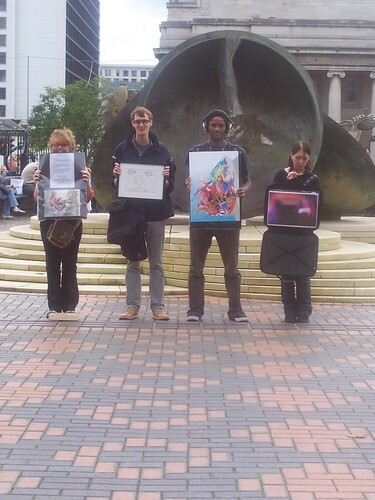 As advertised on the B-VAC website we had a Flash Art Mob on Saturday 16th August. It was kinda small but it went really well and I can’t wait to do another one with more and more artists involved!